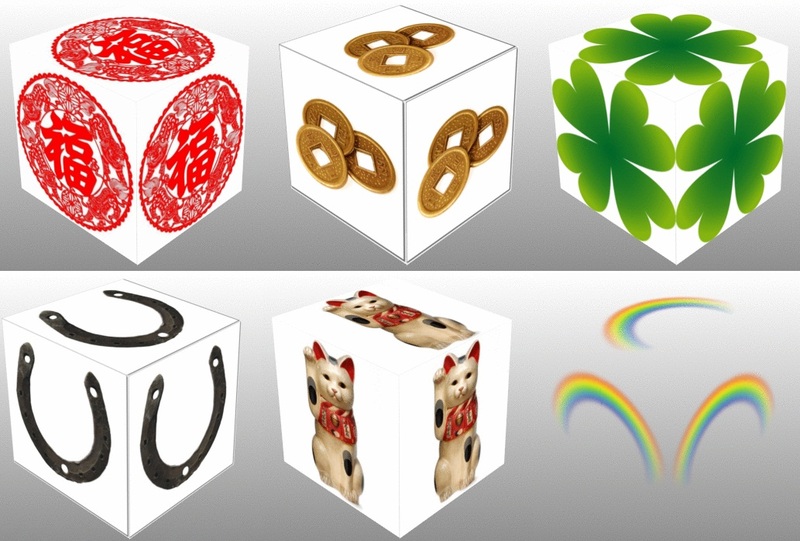 This entry was posted in Art, Collage, Cubes and tagged 3D Cube, Chinese characters, Chinese coins, Clover, collage, cube, Dice, feng shui coins, Four Leaf Clover, good luck, Horseshoe, luck, Lucky Dice, Lucky Symbols, Maneki Neko, Maneki Neko. Four Leaf Clover, rainbow, Shamrock. Bookmark the permalink.